I recently hit 1000 followers on Bloglovin & to celebrate that amazing milestone, I have decided to run a giveaway to thank my lovely readers (I still can't quite believe there are 1000 of you!)! As with all other giveaways I have run, the prize is something I would love to own myself so I am hoping that you will love it just as much! 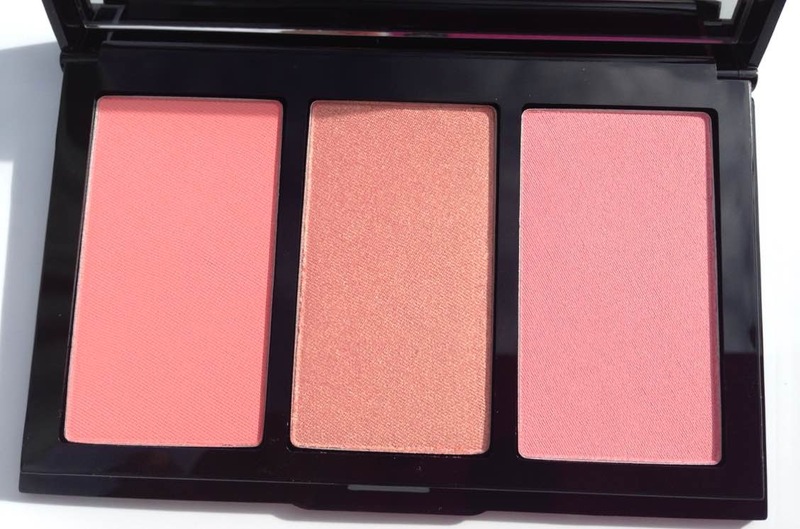 It is a Bobbi Brown Calypso Cheek Palette, which is one of the most beautiful blush palettes I have seen in a long time. I think the blushes will be universally flattering on all skin tones. 2. You must follow me on Twitter here and Instagram here. 3. You must leave a comment below with your bloglovin/twitter & instagram usernames. If you do not complete this step, your entry will be void as I will be checking all entries. 4. You must tweet the giveaway link. 5. If you are under 18, you must have the permission of a parent or guardian to enter as you will need to disclose your address if you win. 6. You cannot choose a different palette, as this palette has already been bought. This giveaway is not sponsored and I have bought the prize myself. The giveaway is open internationally & will end on May 15th at midnight. The winner will have 72 hours to respond to my email, if they do not respond within that timeframe another winner will be chosen. Best of luck & thanks for reading! Yay! congrats on 1k! this is such an amazing giveaway! Congratulation hun! Here's to another 1000! :) Fantastic giveaway! Congrats for the milestone and thanks for such a lovely giveaway! If you still want it, it's still available on Bloomingdales website ! Hope that helps beauty 😘 and you're welcome! Congrats for your great milestone ! This palette looks so lovely ! Thanks for the chnace.Great giveaway. =) Hope to win . Great giveaway and congratulations on the milestone! Love me some blush - thanks for the giveaway!